If you are looking for reputable landscapers in Inverness, Natural Habitat Landscaping is the right choice for you. 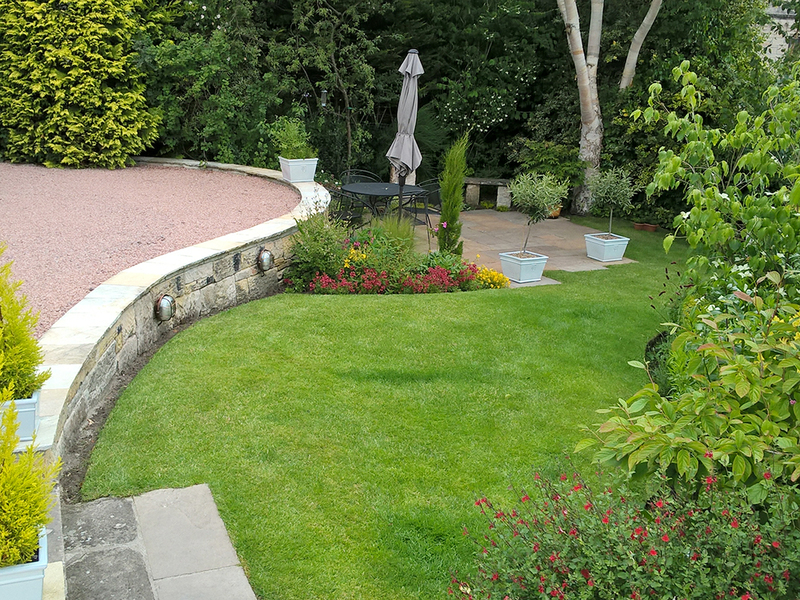 With over 25 years of experience in the business, we have the knowledge and expertise to offer an extensive range of bespoke landscaping services to suit different tastes and lifestyles. We pride ourselves on delivering well-designed gardens at affordable prices. Contact us today for more information. We can also recommend tree surgery services should you require them. Give us a call today to discuss your needs. 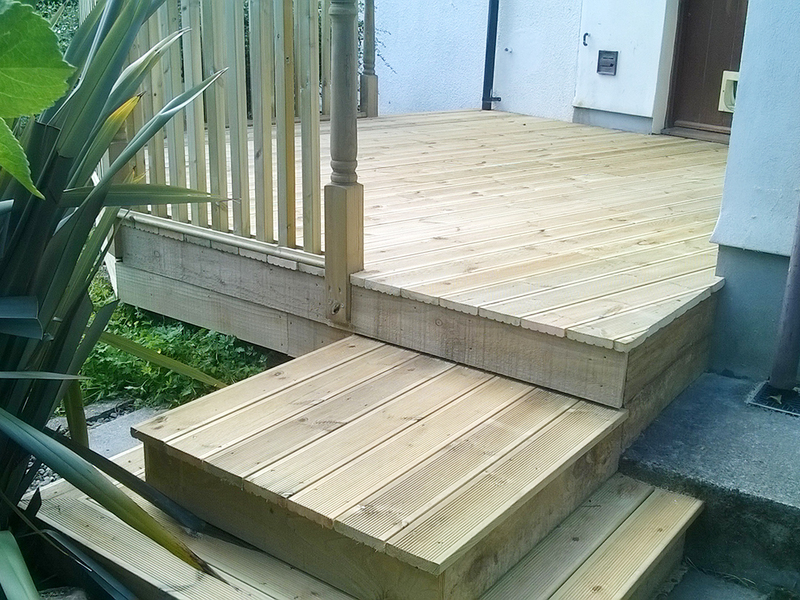 "Dear Simon, we are delighted with the work you completed in our garden. It is great to see a beautiful patio instead of that shed! Thanks for doing a great job from start to finish. We appreciate it. Hope to see you soon." "Dear Simon, just a note to thank you very much for my lovely new garden. I am absolutely delighted with it and am very grateful for your hard work, honesty and efficiency. I'm pleased to say that my neighbours will take the old paving slabs, so there is no need to collect them. With best wishes." "Thank you Simon again, for doing such a lovely job on both Hill Street and Ardconnel Street." "Dear Simon and Brian, thank you again very much for a job well done. Have a relaxing weekend. Best wishes." "Simon, fantastic results as ever! Thank you very much for a conscientious piece of work. Best wishes." Quality job! Simon worked with us in agreeing the fine details of how the garden should be laid out and was responsive to our requests for changes. His suggestions were imaginative and high quality and this resulted in a first class product. Simon designed and built a natural stone wall and three stone patios in our garden, he also installed garden lighting. The end results were first class and we were very pleased with his professional and friendly manner. We would have no hesitation in recommending Simon for all aspects of gardening design and landscaping. We are very happy with the way Simon has taken our rough sketch and translated it into reality. He made useful suggestions as to how things might work better, and was willing to adapt as ideas developed. The end result is high quality and shows his attention to detail. We would not hesitate to recommend him. 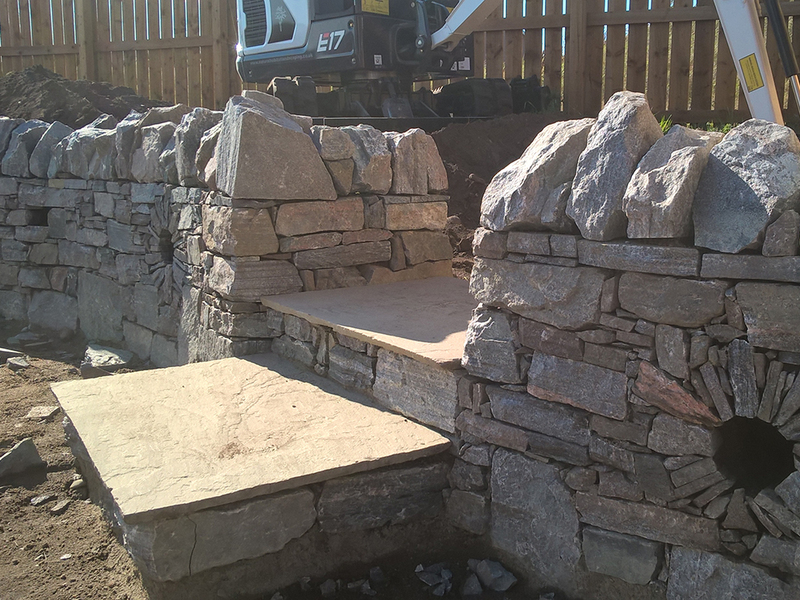 We are very pleased with the landscaping work carried out by Simon. Nothing was too much trouble and he did everything we asked for to a high standard. We have no hesitation in recommending Natural Habitat, would use them again. We are very pleased with the work that was carried out. Natural Habitat were meticulous in getting a tricky job done perfectly. They listened to what we wanted and did the work exactly as requested. Work was done promptly, to a high standard, and with no mess. I cannot recommend them highly enough and will certainly use them again. Thanks!